An estate plan serves a number of important needs. A carefully prepared estate plan will facilitate the transfer of your assets upon your death. For individuals and families with substantial assets, estate planning can help avoid state and federal estate taxes, thereby maximizing the assets that are left to their beneficiaries. Estate planning also offers a measure of certainty to your loved ones if you are incapacitated and are no longer able to express your wishes. As estate attorneys, we have helped generations of families throughout the Hudson Valley, Capital Region and Upstate New York develop strategies to preserve and protect their assets. We understand how to effectively and efficiently implement distribution strategies for both large and small estates. We are engaged in the administration of estates on a daily basis. As a result, we know what works and what doesn’t and can explain common pitfalls in otherwise sound estate plans. We have a comprehensive understanding of both state and federal estate tax laws and can help you develop a plan to reduce or eliminate estate tax liability. Even if your estate is not subject to the estate tax, we can prepare documents that leave no doubt as to your final wishes and that get your assets to your beneficiaries quickly and efficiently. 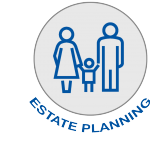 The estate planning process is not one-size-fits-all. You and your family have unique goals and assets, and it is vital that your estate plan reflects this. We will work closely with you to devise wills, trusts and other estate planning tools that are individually tailored to your specific needs. We have helped generations of families throughout the Hudson Valley, Capital Region and Upstate New York develop strategies to preserve and protect their assets.